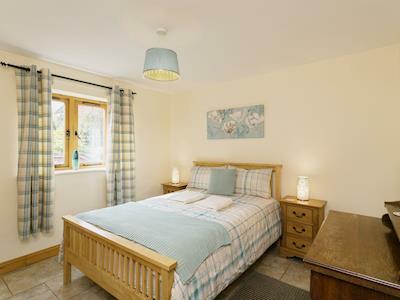 Superbly renovated The Piano Barn is a 5 bedroom and 4-bathroom spacious Holiday Cottage, perfect for short breaks, large group holidays, family holidays and more. 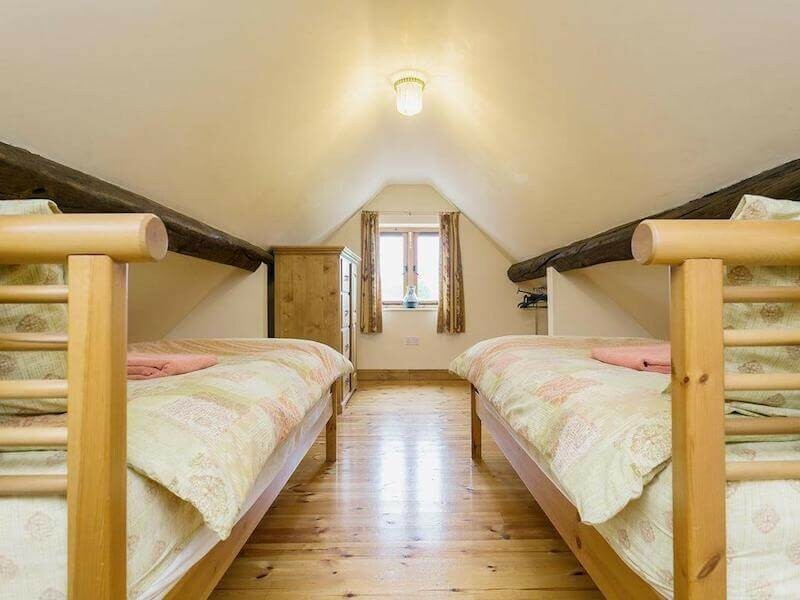 sleeping up to 14 persons 28 when combined with the Poplars (also featured on Handpicked Cottages). 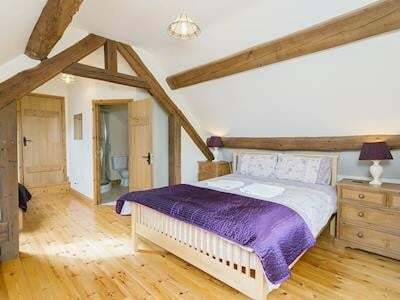 With its original exposed oak beams and natural wooden floors, beautiful hand-crafted staircase, and handmade oak doors the property is charming. 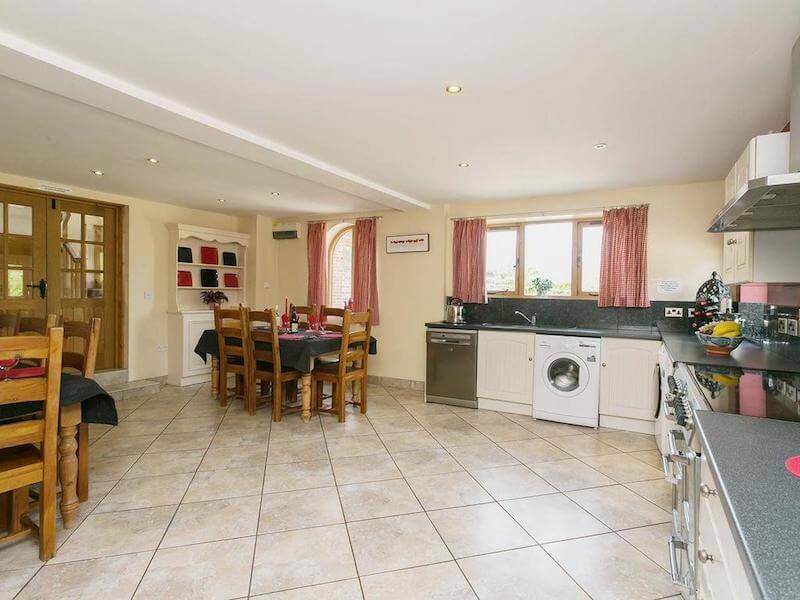 A luxury painted kitchen featuring a large range cooker further adds to the charm. 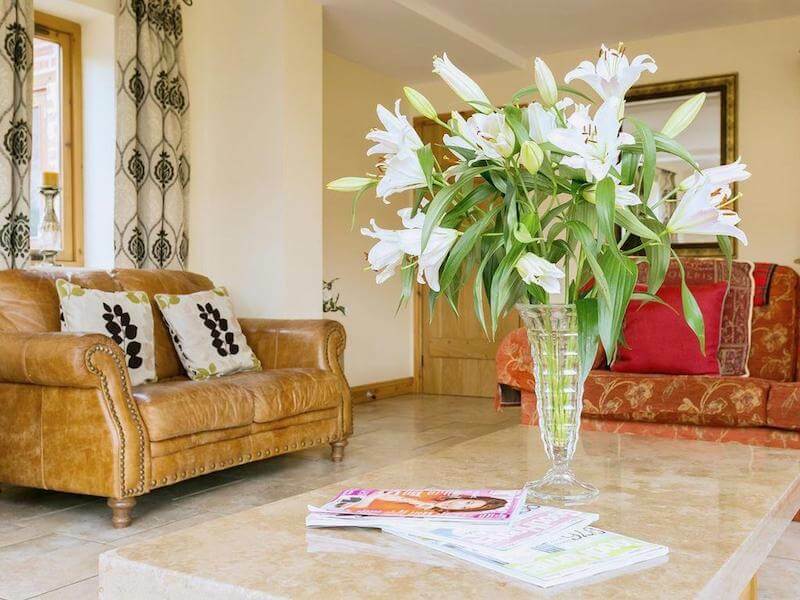 The Piano Barn is situated in the beautiful village of Newborough which is both peaceful and tranquil. 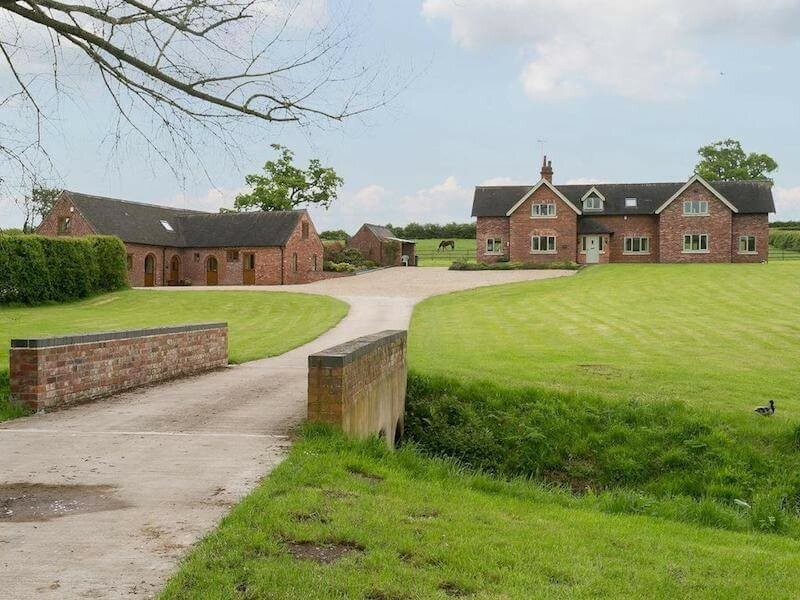 The village is also ideally located close to major towns and cities. 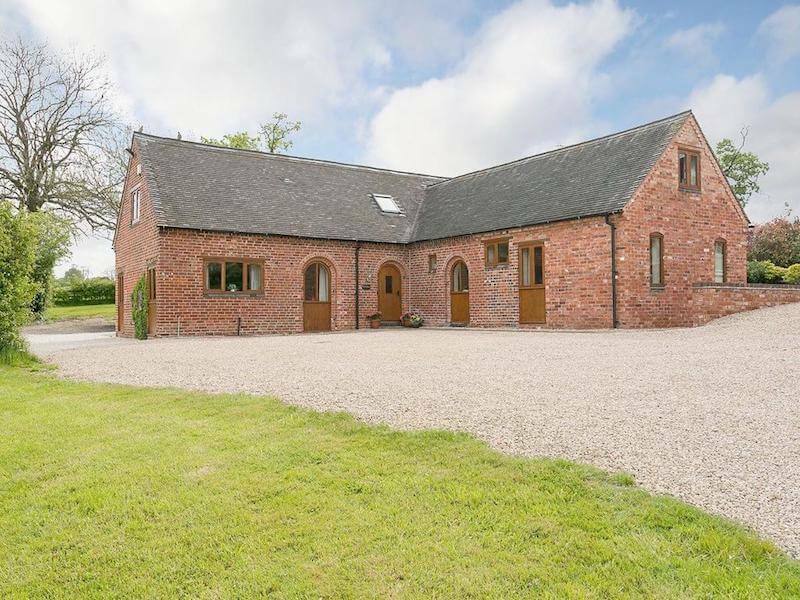 Fabulous rural views are all around and the property is set in its own grounds, shared with The Poplars, in 2 acres of quiet Staffordshire Countryside. Staffordshire is deep the heart of the England. 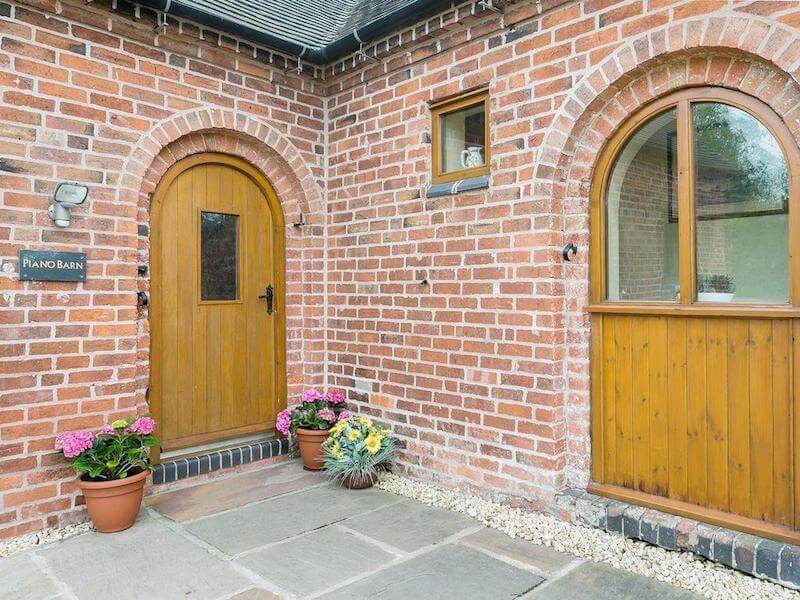 It is an ideal location for many of the country’s finest attractions and National Parks, such as the Peak District. It is also home to many fine attractions such as Hoar Cross Hall Health Spa, Alton Towers, and more. 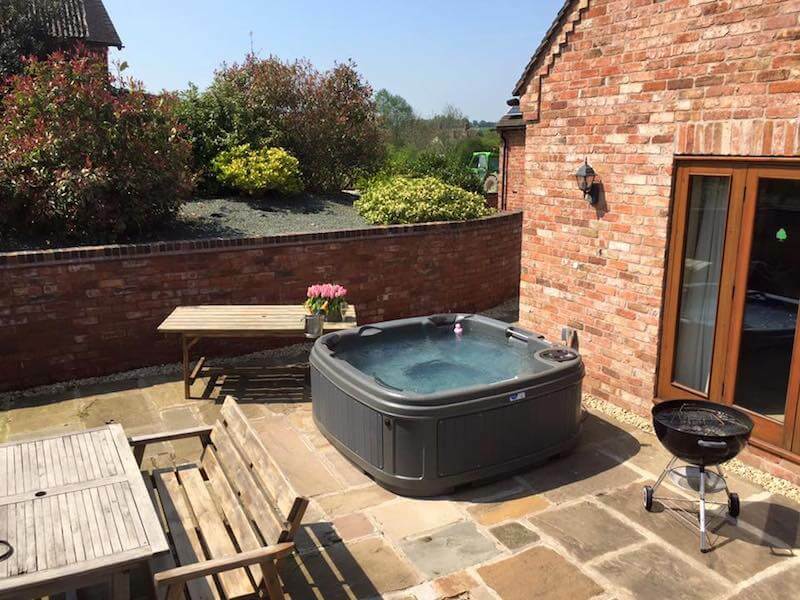 Hot Tub Hire available - please book prior to arrival - Rental per booking from £220, which is fully serviced by us. 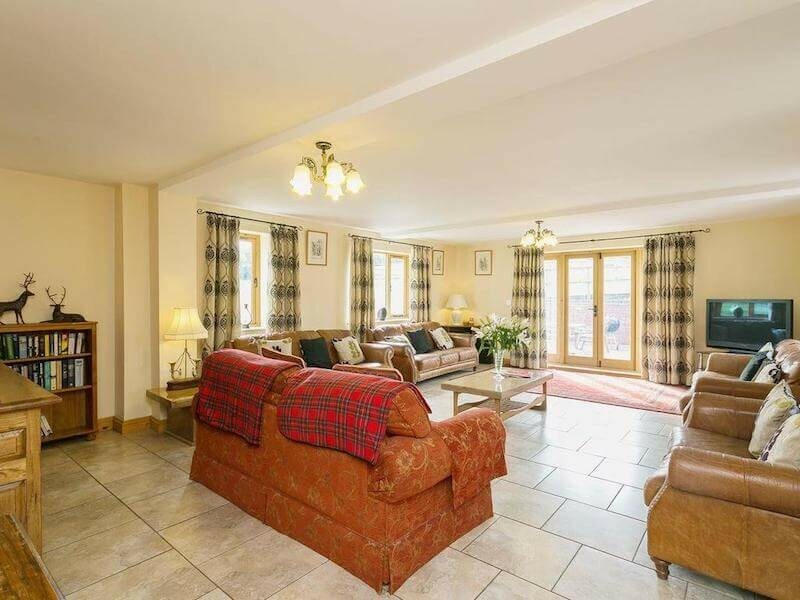 Owned and run by The Skipper Family, you will often see one of the members during your stay, whether its Ron, Harry or Joseph doing maintenance or mowing the lawns, whilst Brenda oversees the cleaning, and Sarah runs the enquiries and bookings for both properties. 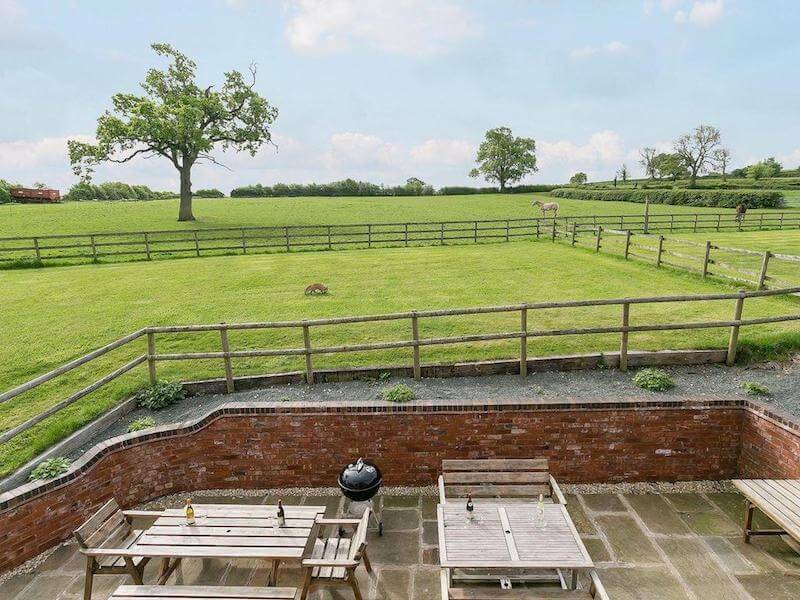 Large patio area from the rear of the property, with garden furniture and BBQ (charcoal). Lawned areas surround this. Ample off site parking. If hot tub is hired, then the Hot Tub will be sited on the rear of the property next to the patio doors. Enter via one of two main entrances, into a large tiled reception area, leading via 2 steps down into the large kitchen area, where you will have the use of fully fitted painted kitchen, fridge freezer, washer, dryer, range cooker and all the crockery, pots and pans, you'll need for your stay with us. 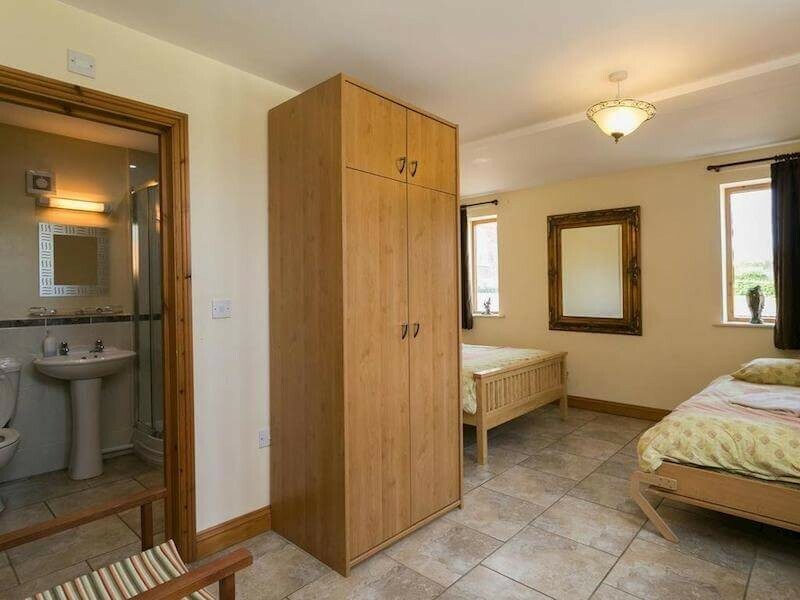 Off the reception area, the hallway leads to 2 downstairs bedrooms, the first is a double bedroom, sleeping two persons, with the use of the main bathroom opposite, further down the hallway, the 2nd bedroom which sleeps 3 persons, double bed and extra single bed, enjoys a shower ensuite room. Also off the reception area, is the spacious lounge area, complete with a choice of seating layout, dressers, coffee table, a stocked bookcase filled with some varied reading material, the lounge leads out, through patio doors leading onto the patio area, where you will find the BBQ and patio furniture. Underfloor heating is throughout the first floor. 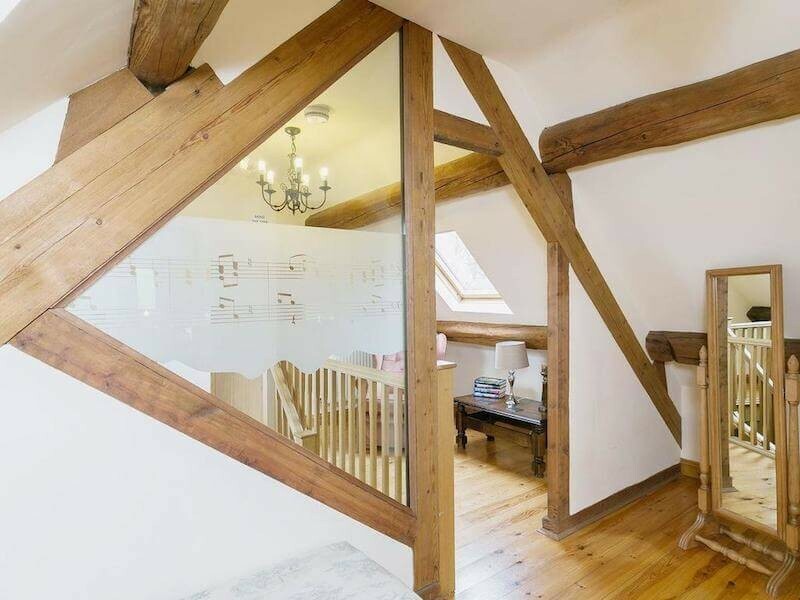 Oak staircase leads upto the first floor landing, wooden flooring throughout the upper floor and central heating. Kingsize bedroom, with extra single bed, sleeping 3 persons, with ensuite shower room. 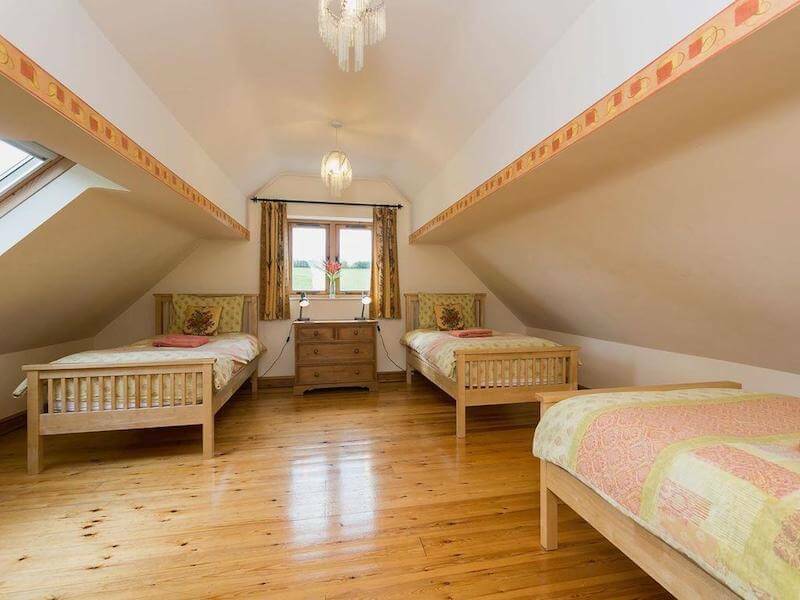 Please note there is a step down into this bedroom. The main upstairs bathroom is adjacent to these rooms. Oak beams exposed throughout the upper level of the property. Green lawned and rolling green pastures views are enjoyed from most windows in the Piano Barn. Enjoy a thrilling day out at the races with a first-class hospitality and dining experience. Action packed day at the local theme park, enjoying the thrills and spills of some of the wildest rides in the uk. Fine Indian dining eat in or order a takeaway delivered.